For 2015, we’re excited to bring 64-bit capabilities to our entire product line, while giving you confidence through better performance and enhanced stability. 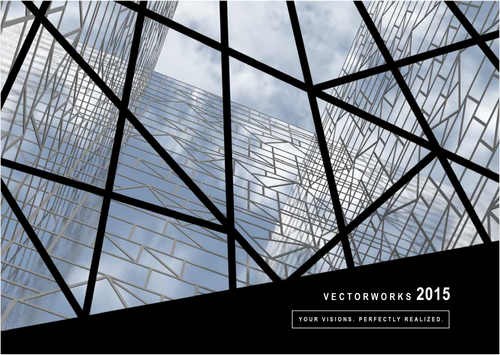 We’re also excited to build upon our Vectorworks Graphics Module, which provides designers with a revolutionary graphic experience. These two technological improvements, along with more than 100 updates and new features, like enhanced text editing, wall improvements, and transparent gradients, are wonderful evolutions that we know you’ll love as you continue to design and discover. With Vectorworks Architect software, you can do it all, from sketch to BIM. 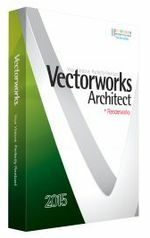 Contrary to how other programs force creative constraints upon the design, Vectorworks Architect software allows you to maintain creative freedom while making it easy for everyone involved in the project to efficiently work together. You'll enjoy robust BIM functionality, great documentation, and intelligent tools, along with the flexibility to design in 2D or 3D without restrictions. The program's powerful Parasolid® 3D modeling engine tackles complex models. Plus, BIM capabilities help you streamline costs, analyze materials, and increase energy efficiency while staying true to your design concept. Whether your specialty is architecture, landscape, or entertainment design, Vectorworks Designer software gives you the freedom to create without having to use additional applications. The program provides a competitive edge by offering a large set of design tools in a single, intuitive interface. 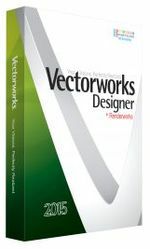 Draft, model, and present with Vectorworks Designer – the ultimate solution for the professional who needs it all. 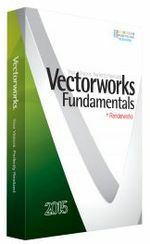 Vectorworks Fundamentals is our basic CAD software package, and it offers superior 2D and 3D capabilities and an intuitive, easy-to-use modeling and documentation platform. Make your productions memorable with Vectorworks Spotlight software, the gold standard for CAD software in entertainment design. With superior 2D and 3D capabilities, you'll enjoy an ease of use not found in competing interfaces. You can create powerful presentations and turbo-boost your productivity. Lighting devices, documentation features, and graphic controls for event plans all help you balance the need for individual creativity with the requirement for synchronized and accurate design information. We've partnered with the award-winning CINEMA 4D render engine to provide rendering capabilities that are faster and easier than standalone rendering applications. Renderworks is an add-on available with any Vectorworks product, allowing you to create high-quality, photorealistic and stylized, or non-photorealistic rendered models for stunning images and animations. It is suitable for all design industries, no matter what kinds of projects you design.